Cleveland offers shoppers everything from one-off designer boutiques and little antique shops to big-name international brands and impressive shopping malls. Lorain Avenue in Cleveland is known for its Antique District, where you will find antique shops, flea markets and secondhand shops, while Cleveland's Tremont is known for its hip boutiques and fashion shopping opportunities. Those in Cleveland with a penchant for arty things should head to Little Italy, with its more than twenty art galleries, while Shaker Square is also known for its antique and boutique shopping. For fresh produce including baked goods, homemade cheeses, organic vegetables and local and ethnic specialties, there's no better place than Cleveland's West Side Market in the Ohio City district. With its hundreds of stalls, it's the largest indoor / outdoor market in the US. The majority of Cleveland's shopping malls and department stores are generally open Monday to Saturday, from 10:00 to 21:00, and Sunday from 12:00 to 18:00. Opening times for smaller, independent outfits will vary. 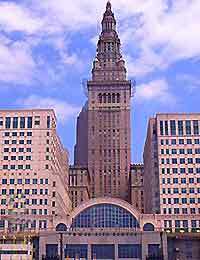 There are numerous shopping centers and shopping strips in and around Cleveland. 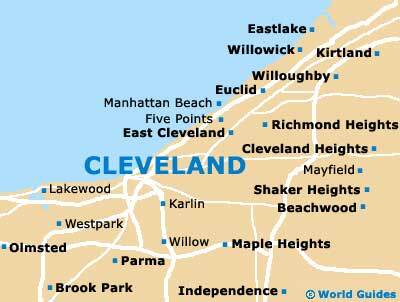 Over 70 outlet stores and big brand shops in a shopping village setting, close to central Cleveland. You can find upscale fashion stores and shops at this clothing mall. This large shopping mall contains more than 100 stores, selling everything from lingerie and jewelry to sportswear. One of the world's first shopping malls, the Cleveland Arcade features over 80 stores and restaurants. Shopping, food and services under one beautiful glass roof. 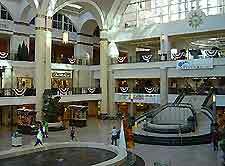 A newly renovated shopping mall conveniently located 20 minutes southwest of downtown Cleveland.